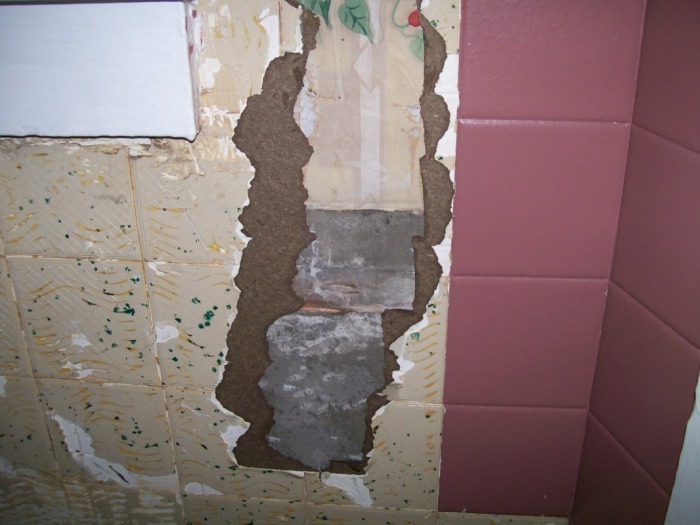 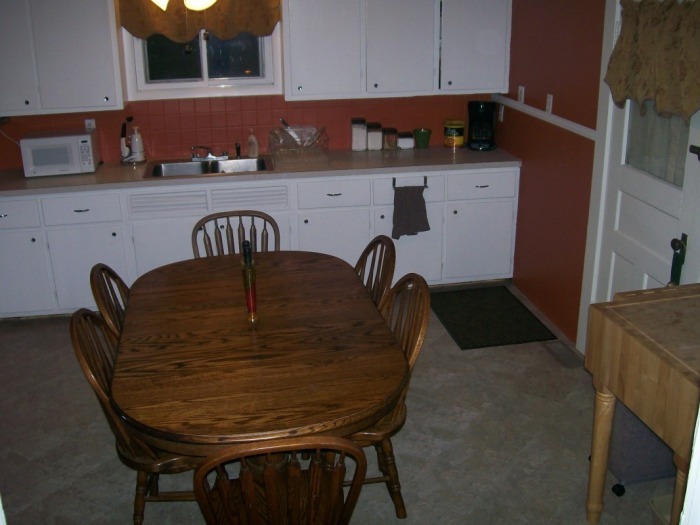 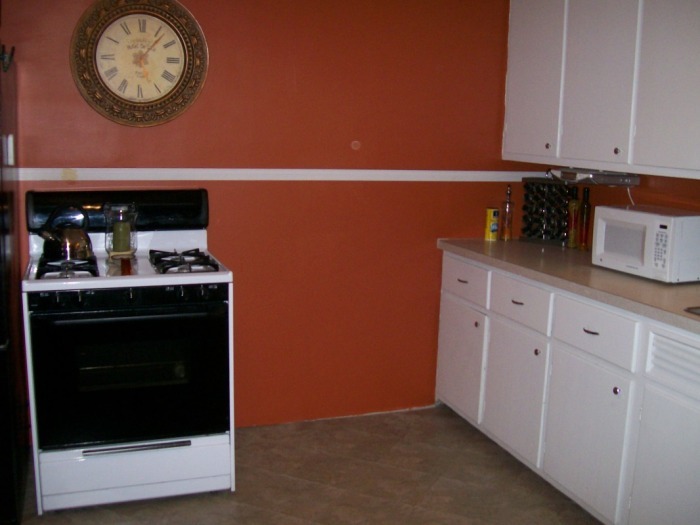 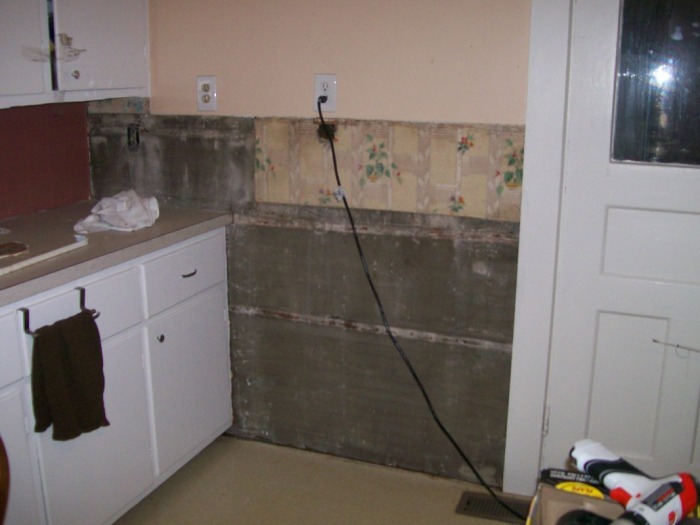 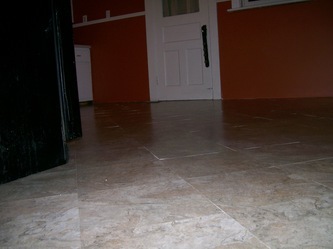 In November of 2009, we attempted to simply take down these horrific mauve plastic tiles in our kitchen in order to slowly prepare for a total kitchen remodel. Quickly, we found out that we would be spending the weekend putting up new kitchen walls. 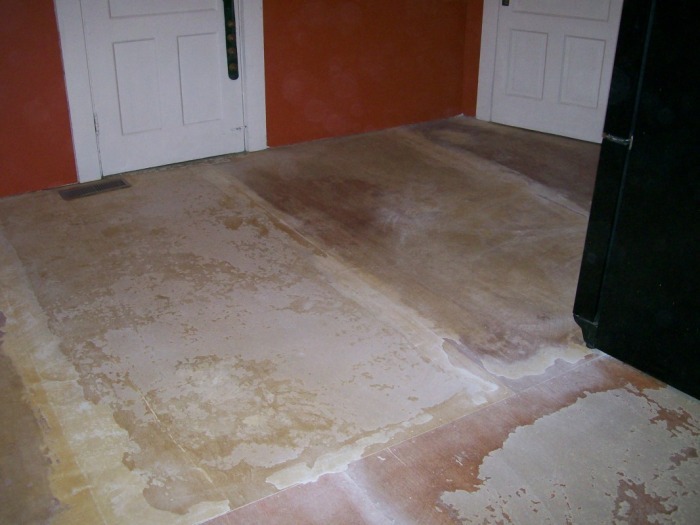 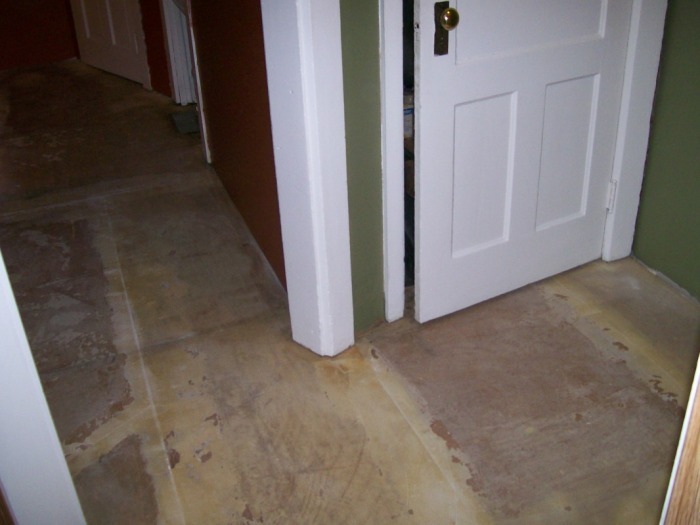 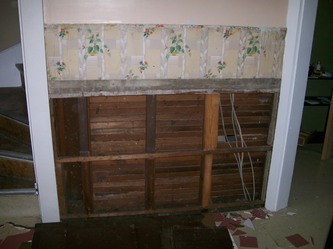 Then in January 2010 we pulled up the old rolled linoleum floor that had been coming up in many places. 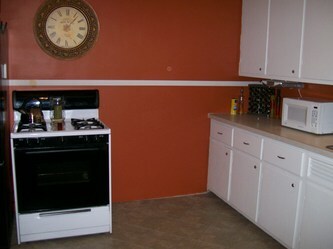 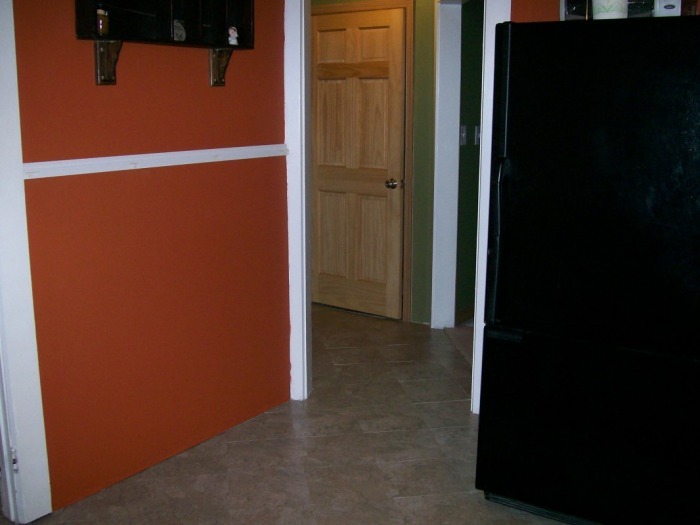 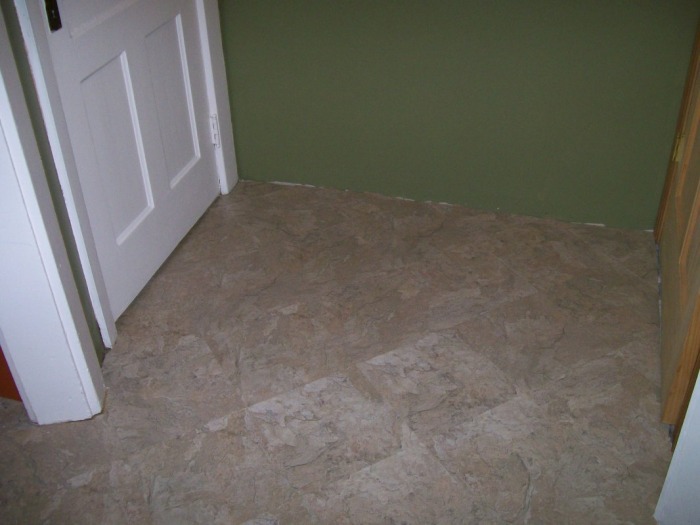 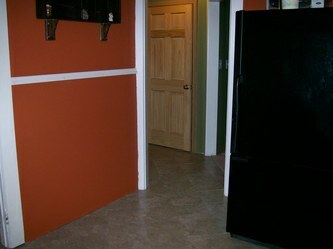 We decided on neutral-colored floor to help enhance the wall color. 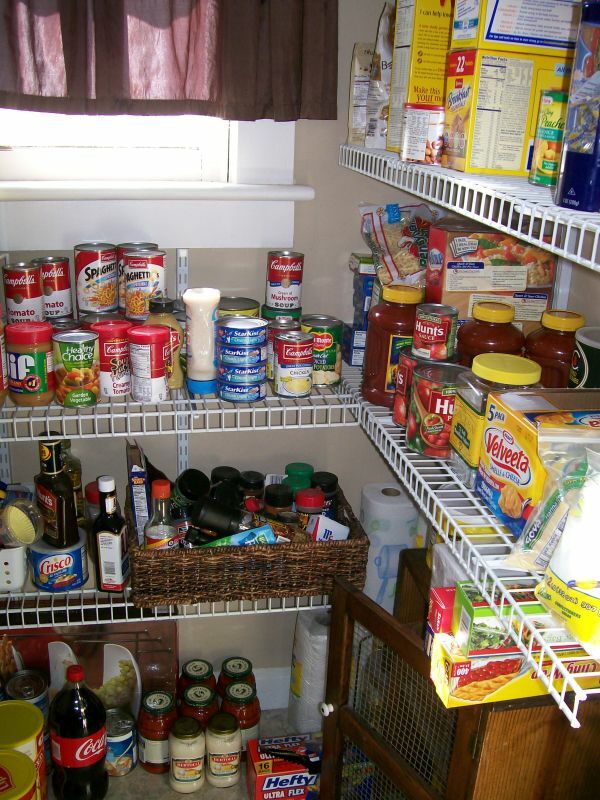 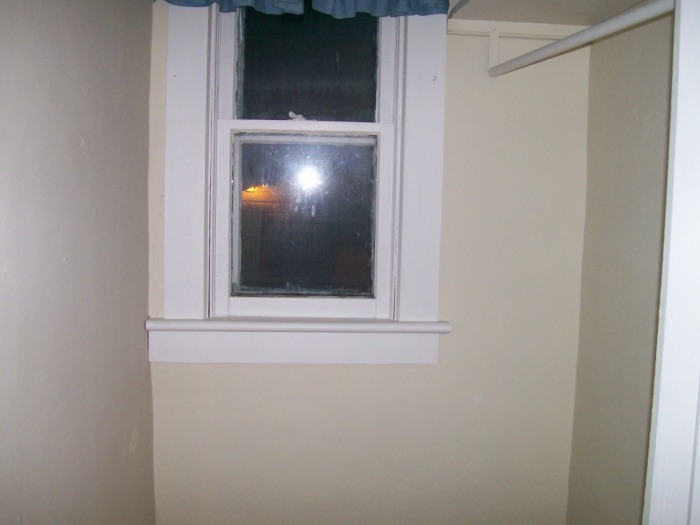 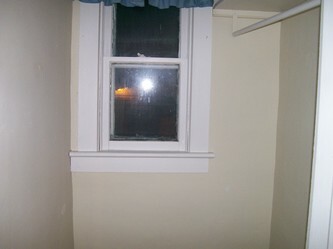 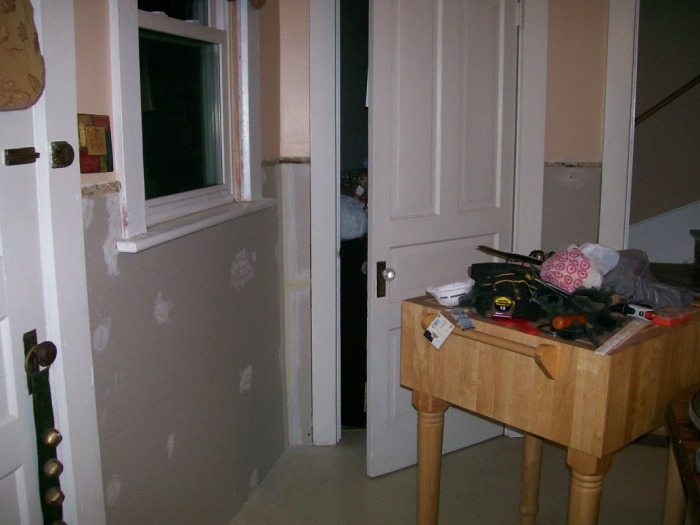 Directly off of our kitchen was a small empty room that was used as a coat closet by the previous owner. Scott added a few shelves and a book case for cookbooks and VOILA, our pantry!